On Sunday the 4th of December 2016, the SASG Stray Animals Support Group in Malta had organised a fund-raising lunch at the Mellieha Holiday Center. 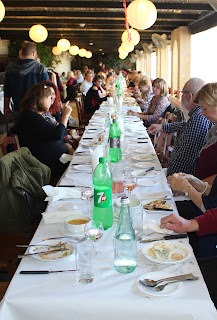 Around 100 animal lovers and friends gathered in a section of the holiday center's restaurant overlooking sunny Mellieha Bay, and we enjoyed a wonderful buffet, followed by a tombola with beautiful prizes. 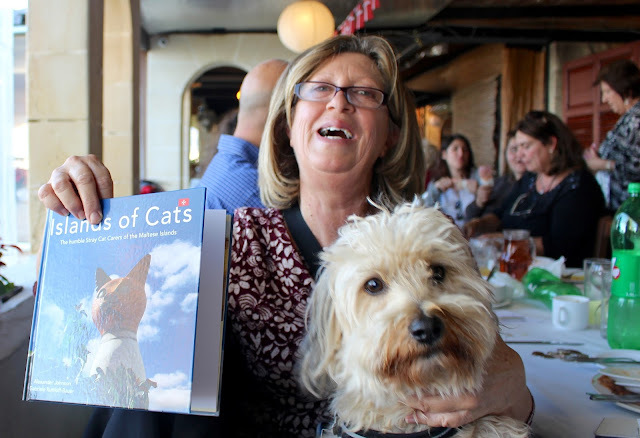 Islands of Cats contributed two books to the tombola, one "Islands of Cats" and one "Il-Gżejjer tal-Qtates", the Maltese version. They were picked up quickly. About the group: "SASG's aim is to provide support and help to organisations and individuals who dedicate their lives to caring for stray animals. The main activities are providing food for abandoned animals, helping with medication and operations, rescuing and providing recovery facilities for injured cats, neutering stray cat colonies (with post operation recovery facilities), rehoming abandoned cats and dogs, and, of course, fundraising to make all these things possible." 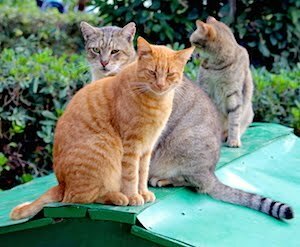 SASG's manager Janine is one of the stray cat carers featured in Islands of Cats. She was presented with her personal copy, with her beloved Biscuit by her side, who also found a place in Islands of Cats. He accompanies Janine during all her activities, on her daily round to feed cats in the wider St Paul's Bay and Golden Bay area, to take care of the shelter in St Paul's Bay, and to supervise SASG's charity shops in Qawra and San Ġwann on Malta. All together, 25 volunteers work for SASG, giving their spare time to stray animals. We hope the fundraising and tombola ticket sale contributed to the financial needs of this organisation. 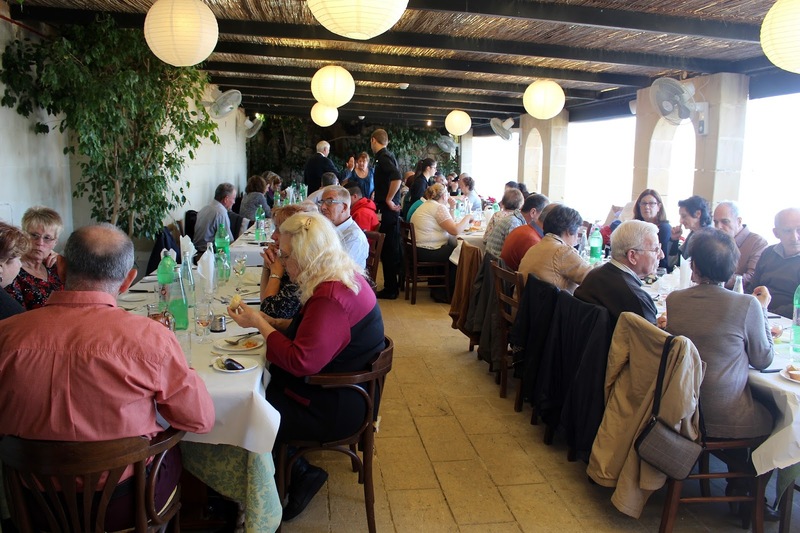 Alexander and I are always touched to see so many people willing to share - often not the richest of this world - and we congratulate Janine and her crew at the SASG for the wonderful work they are doing for the stray cats and dogs on the Island of Malta. If you would like to help the SASG, follow this link. And if you'd like to see Janine feed a cat colony in the north of Malta, watch this interview with her made by PBS-TVM and aired on Malta's prime TV station's Saturday night news on 11 June 2016 (Maltese language).